Brian Russo has been drawing since he can remember. He grew up in Short Hills, New Jersey, then moved to New York, where he earned a degree in film from NYU. Afterward, he discovered something he loved just as much as drawing and making films: doing yoga. He earned a teaching certificate from Yoga to the People in 2010, during which time he developed the Yoga Bunny illustrations. Since then, he’s received hundreds of emails from people all over the world, praising his illustrations of a bunny doing yoga. Brian is thrilled that his artwork has reached so many people and is excited about where he and the bunny will go next. 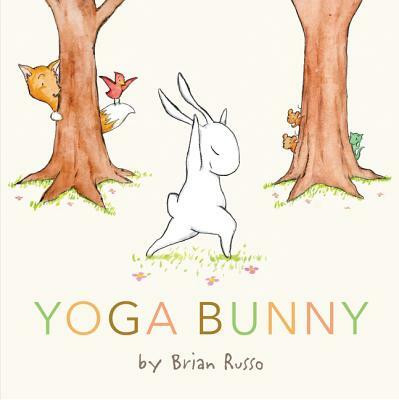 Yoga Bunny is Brian’s first book. Visit him online at www.bunnyoga.com.